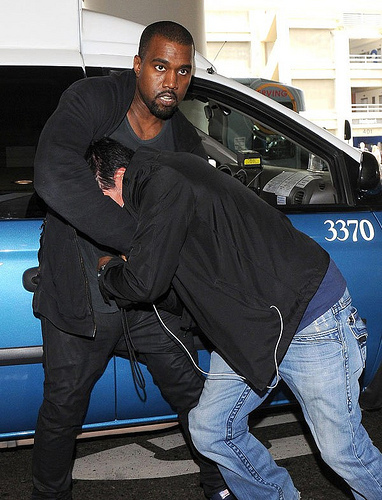 Well looks like Kanye West could be in some trouble, According to TMZ Kanye has been charged with criminal battery and attempted grand theft for his alleged attack on a paparazzo at Los Angeles’ LAX airport in July. Kanye may face up to one-year in jail if convicted on both charges. An arraignment date has been set for October 10th, but his appearance is not required if a lawyer is present. We will keep you updated as the situation unfolds.